Earl co-founded Scudder Law Firm in 1990 and serves as our Executive Chairman. 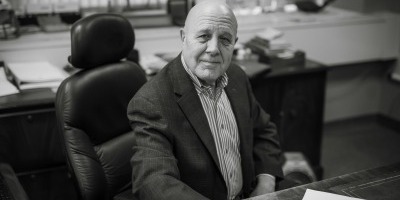 Earl has 52 years of business transactions experience and serves as a strategic advisor to clients in the areas of securities, mergers and acquisitions, debt and equity financings, and general corporate matters. In a $3.6 billion (including rollover equity) going-private transaction, assisted client in financial advisor selection, engagement and financing commitment, merger negotiations with Target's special committee attorneys and financial advisor Goldman Sachs, negotiation and documentation of revolving credit, Term Loan B, and second lien note financing. Also served as Acquirer's interim executive officer, presented in bond road show, and helped lead management transition team. Assisted in a Morgan Stanley-led $880 million initial public offering (nation's second largest after General Motors in 2010), conducted simultaneously with a mandatory exchange offering by the issuer's CEO, as well as $1.5 billion in term loan and revolving credit agreement financing. Representing clients in the divestiture of a series of oil and gas and water well drilling companies in Alaska, California, Canada, and Colorado. Handling the initial public offering, serving on the board of, and structuring and negotiating an industry-leading merger for, a long-time client. Leading a leveraged buyout of a $225 million division of a publicly traded company, including purchase diligence, acquisition in a Goldman Sachs-conducted competitive auction, acquisition financing, equity investment, and operating financing in an approximately 90-day period. Devising the complex financial and business restructuring and financing of a major league professional sports franchise and related multi-hundred-million-dollar arena and real estate development project, as well as its ultimate sale. Negotiating a stock-for-stock merger, of a $700 million revenue publicly traded company. Negotiating a series of Variable Prepaid Forward contracts involving stock of a New York Stock Exchange- listed client in amounts aggregating more than $800 million. Earl has served on the boards of publicly-traded Swift Transportation Co., (Nasdaq: SWFT), Simon Transportation (Nasdaq: SIMN) and Heartland Express (Nasdaq: HTLD) as well as the boards of the Blair Bank, Class.com, Central Freight Lines, Central Refrigerated Service, Coyotes Holdings, First City Financial Corp., Nebraska Angels, Nelson & Harding, Northeast Investment Co., Southwest Premier Properties, Transcommunications, Inc., Truckload Carriers Association, and WareOnEarth Communications. Earl is in his 53rd year of private practice. Earl represents or has represented many companies in a variety of industries, including banking, leasing, telecommunications, construction, air and surface transportation, manufacturing, encryption and software technology, oil and gas exploration, a national hockey league franchise, and Internet education. In addition to his client representation, Earl has completed the Harvard Law School programs on basic and advanced negotiation techniques. He also has been an instructor of Corporate Finance and Legal Writing and has lectured on Mergers and Acquisitions and Legal Ethics, and is the author of "Mergers and Acquisitions in the Trucking Industry." Earl also has been appointed to serve the State of Nebraska by governors of both major political parties, serving as a member of the Nebraska Investment Council, the Nebraska State Racing Commission, and the Nebraska State Education 2000 Task Force, and by the Mayor of the City of Lincoln to the Private Industry Council (Past President). He also has served as a Trustee of the University of Nebraska Foundation and as a member of the University of Nebraska Committee of Visitors, the UNL Parents Association (President, 1987-90 and Hall of Fame), UNL Vision 2020 Task Force, University of Nebraska College of Law Alumni Council (Past Chairman)-Capital Campaign Chairman. In 1993, he received the University of Nebraska Alumni Association Distinguished Service Award, and in 2009, he received the University of Nebraska College of Law Distinguished Service Award. In 2017, he received the University of Nebraska College of Law Outstanding Service Award. In 2018, the University of Nebraska-Lincoln bestowed on Earl and his wife, Patricia, the University's highest, non-academic honor, the Nebraska Builder Award. Earl received his J.D. in 1966 from the University of Nebraska College of Law where he served as a member of the Allen Moot Court Board and as President of the Phi Delta Phi legal fraternity. In 1964, he received his B.S. in Business Administration from the University of Nebraska. He is a member of the District of Columbia Bar Association (inactive), American, Nebraska State, Iowa State, Tennessee, U.S. Tax Court, U.S. Court of Appeals for the 8th Circuit, U.S. Supreme Court, and Arizona Bar Associations, and is a Fellow of the Nebraska State Bar Foundation.